Whether it’s a type of meat, fruit, or even ice cream, many children struggle with trying new foods. Picky eaters may refuse to try a new food for several reasons.These reasons can include the way a food looks, smells, tastes, or feels inside of his mouth. Regardless of why a child is picky about the food he eats, the good news is that there are 5 tricks for getting your picky eater to try new foods. 1. Serve up the same thing, several ways. While your child may not like steamed carrots, he may like them raw, mashed, pureed or boiled. Prepare a new food in different ways before giving up hope that he’ll try it. 2. Offer new foods frequently. It can take up to 7 times or more before a child will actually try a new food that is presented to him. By offering a new food over and over again your child will become familiar with it. Once he gains familiarity with it, he’ll be more likely to actually try enough of it to know if he likes it. 3. Make trying new foods fun. Biting into a cheeseburger in a bun may be overwhelming to your child, but if you cut it up into small pieces and allow your child to use a toothpick to pick up different pieces of the burger (if he’s old enough) he may be more willing to try it. Encouraging younger children to take turns trying each of the foods on their plate, (it’s the buns turn, it’s the burgers turn, etc.) and by being creative about how you present the food (make faces from sandwiches, stand up broccoli like trees) can make trying new foods fun. Pull out the ranch dressing, ketchup, mustard and other various condiments and allow your child to dip new foods into them. Many food struggles are rooted in a child’s desire to be in control, and by providing your child with a choice of condiments to dip a new food into (rather than the choice of trying a new food); he may be less likely to put up a fuss. 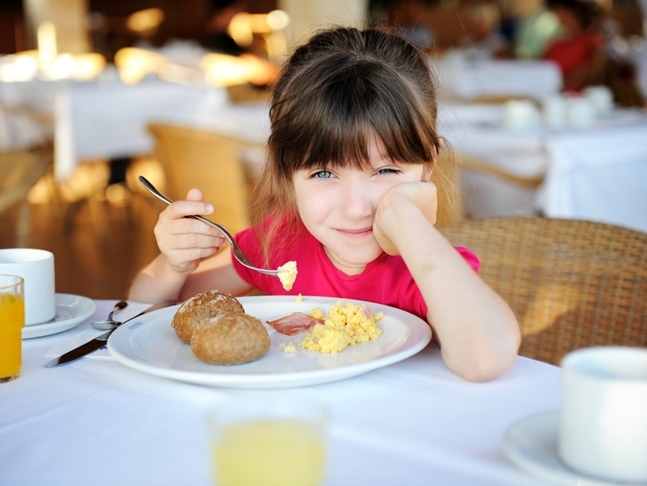 Trying new foods yourself and offering your child small bites of new foods off of your plate are effective ways to get your picky eater to try new foods. If something is good enough for mom and dad, it’s often good enough for your picky eater. While getting your picky eater to try new foods can be a frustrating process, it doesn’t have to be. Less talking to your child about trying new foods and more doing creative things as you introduce new foods will get your picky eater to try new foods without a fuss.